The James Foundation in partnership with St. Martin's Healthcare, Inc. present the 4th Annual Passport Gala & Giving Party on Thursday, April 26, 2018, 6:30pm - 8:30pm. 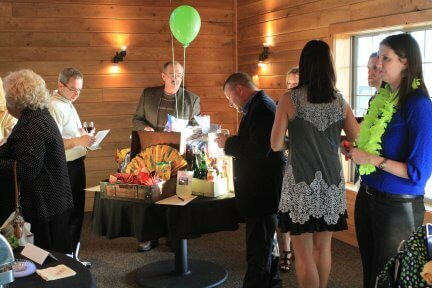 Sylvan Cellars Event Center will once again serve as the venue for this annual event. VIP Tickets are available for $75 each or $140/couple. Regular event tickets are $50 each or $90/couple. V.I.P. Ticket holders also receive reserved seating plus a complimentary glass of wine or craft beer. The 12th annual Circle of Friends Tea will take place at 12:30 pm, Saturday, February 10, at First United Methodist Church, 1203 E. 7th St in Auburn. 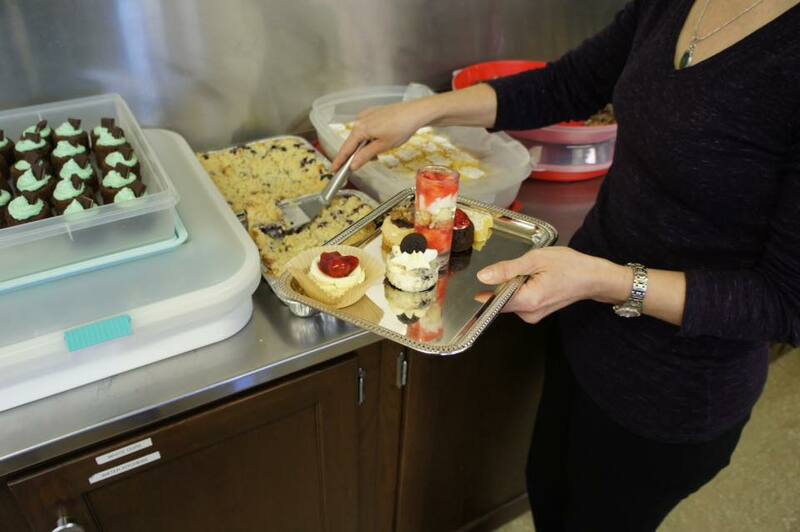 DeKalb Health is serving as the years "High Tea" partner. Guests will be treated to a delicious luncheon, a variety of hot teas, and an exquisite assortment of homemade desserts, which have made this annual event famous. Doors will open at 11:30 am. Tickets for the event are $30 per person, or $240 for a table of eight. Tickets are available by visiting or calling the clinic at 357-0077 or on-line at smhcin.org. Tickets may also be purchased at these Auburn businesses:Lyn-Maree's, 209 N Main St; Little Sprouts Children's Boutique, 111 N. Main Street, or Yes to the Dress, 304 N. Cedar St. No tickets will be sold at the door. Local bridal salon, "Yes to the Dress" will present a walk down memory lane, featuring reminiscent past wedding gown designs to present-day styles. Ladies of the community are invited to model their own wedding dress, or allow someone else the honor. For more information, please contact St. Martin's at 357-0077 or tstafford@smhcin.org. Another highlight of the annual tea is the opportunity for guests to purchase raffle tickets for the chance to win one of the many gift baskets, containing a variety of items and gift certificates generously donated by area businesses. Guests will also learn how important care, compassion and connection* are to St. Martin's patients and the community. The holiday season is upon us. And while the holidays can be a time of great thanksgiving and joy, the season also presents us with added activities, events, pressures and expectations. The season can feel especially intense for those struggling with the loss of a loved one, a mental illness, a debilitating addiction, or the 'holiday blues'. Holiday Plan Worksheet A tool to help navigate the season's challenges after the death of a loved one. Mental illness: Coping with the Holidays gives tips for persons living with a mental illness, tips for family and friends, and tips for faith communities. What are the Holiday Blues? : Explains what are they and how to avoid them. Holiday Mental Health Tips for Your Children: Tips from the American Academy of Pediatrics to help you improve your family's mental well-being this holiday season. St. Martin's Healthcare will be hosting their 9th Annual Benefit Golf Scramble - Swingin' for St. Martins at the Garrett Country Club on Saturday, August 5, 2017. Sponsorships are still available - Click Here! Prizes will be awarded to the top three men's teams, and the first place ladies team. Popular golf contests for the Longest Drive, Closest to the Pin and the Longest Putt are also included. Golfers and their fans may browse the many "Bucket" gift packages and take their chance on winning their favorite. Annually, local businesses, individuals and organization contribute to these 'Buckets" by donating their products and services. Team Registraton Brochures will be available soon! On August 5, 2017 St. Martin's Healthcare will be hosting their 9th Annual Benefit Golf Scramble - Swingin' for St. Martins at the Garrett Country Club. Sponsorships are now available! The Florida Scramble begins with check-in and a continental breakfast at 7:00 am. Preceding the 8:00 am tee-off time, The Great Golf Ball Drop will be held. Chances to win $500 cash by purchasing a golf ball for $20 will be available soon. The Team Registration fee of $300 includes lunch, beverage tickets, a free gift for each golfer and the oportunity to spend a day on the links while supporting St. Martin's Healthcare and its services to the uninsured and under-insured.Mulligans and a Skins Game will be offered in addition to fun games at designated holes. Prizes will be rewarded to the top three men's teams, and the first place ladies team. Popular golf contests for the Longest Drive, Closest to the Pin and the Longest Putt are also included. Golfers and their fans may browse the many "Bucket" gift packages and take their chance on winning their favorite. Annually, local businesses, individuals and organization contribute to these 'Buckets" by donating their products and services. Team Registraton Brochures will be available soon! St. Martin's Healthcare Board of Directors are pleased to announce the 3rd Annual Passport Gala Giving Party will be held on Thursday, April 27th beginning at 7:00 pm. Rick and Vicki James are partnering with St. Martin's Healthcare for this exciting destination-themed event taking place at Sylvan Cellars Event Center in Rome City. The evening will begin with travel-themed heavy hors d'oeuvres and assorted desserts. A silent auction featuring destination-themed trunks filled with a variety of merchandise and gift certificates will be on display. Back by popular demand is the “Wheel of Fortune”, which gives guests the chance to win various gifts, gift certificates or additional chances into the drawing for the Get-a-Way trip. Other opportunities for earn additional chances into the drawing will be offered throughout the evening. Each guest ticket includes a chance to win one of three exciting and unique trips being offered: Cancun All-Inclusive (a 4 night stay at the Hyatt Zilara or Ziva with roundtrip airfare); Beautiful Lake Louise in Alberta, Canada (a 4 night stay at the Fairmont Chateau, daily breakfast and roundtrip airfare) or A Classic Wrigley Field Rooftop Experience (2 tickets and dining package for a Chicago Cubs game, 3 night stay at the Hyatt, Hilton or Marriott and choice of airfare or travel voucher package). Tickets are $50 per person or $90 per couple and may be purchased online Click Here, by mail, or from AMI Investments (Kendallville) Carbaugh Jewelers (Auburn), or St. Martin’s Healthcare (Garrett) or from any board member. A limited number of VIP tickets for $75 each or $140 per couple are available. VIP tickets provide reserved seating and a complimentary glass of wine or craft beer. VIP tickets are only available on-line, by mail or from the clinic. Tickets are limited and are expected to sell out quickly. The clinic, in their 12 year, serves the uninsured and under-insured needs of our community and is open to DeKalb and Noble County residents. St. Martin’s Healthcare’s 11th Annual Circle of Friends Tea is Saturday, February 11 beginning at 12:30 pm at the Auburn Nazarene Church, located on North Main Street in Auburn. Doors will open at 11:30am this year so guest may have time to browse and purchase chance tickets for a variety of gift baskets donated by area businesses. A light lunch is the prelude to the serving of delicious desserts that guests have come to expect while enjoying a cup of tea. Back by popular demand is a fashion show by Lyn-Maree’s Boutique in Auburn, unveiling new and exciting fashion trends for 2017!! This signature event is always a sell-out so purchasing tickets early is highly recommended. A limited number of tickets for $25 each may be purchased at Lyn-Maree’s (260-908-1391), Little Sprouts Children’s Boutique (260-925-9534) or St. Martin’s Healthcare Clinic (260-357-0077). Various partnership opportunities are available in addition to contributions for the basket raffles. Please call Tammy at the clinic for more information. All proceeds from this event support the services provided by St. Martin’s Healthcare, which include medical, dental, prescription, vision and health education to our uninsured and underinsured neighbors in DeKalb and Noble Counties.